DHY Trading Corporation is the leading name known as the resourceful Danger Tapes Manufacturers in Mumbai, India. This Caution Tape is known for high visuality and non-tearable feature. These are ideal to give indications of something dangerous in that particular area and why should not go that way. We all know precaution is better than cure; these tapes give advance indications about the danger, which minimizes the chances of falling into any risky situation. We have a manufacturing unit to handle the overall process of their creation to ensure that customers will get final finished tapes, which give them value for money. 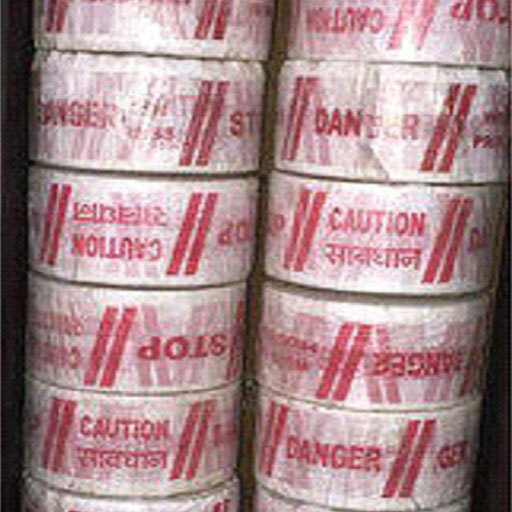 As we are renowned among the most noted Warning Tape Suppliers and Exporters from India, so we assure their bulk quantity, will be delivered to your doorstep within a promised time frame. Call us now, to share your requirements.